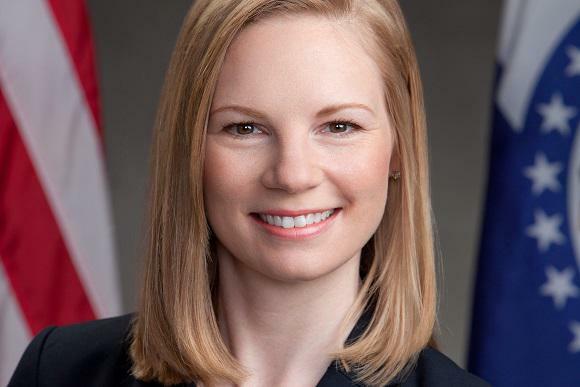 Missouri State Auditor Nicole Galloway released findings of a citizen-requested audit on Thursday at Lexington City Hall in Lexington, Missouri. A failed effort to build a new city-owned hospital is at the heart of financial problems in Lexington, Missouri. 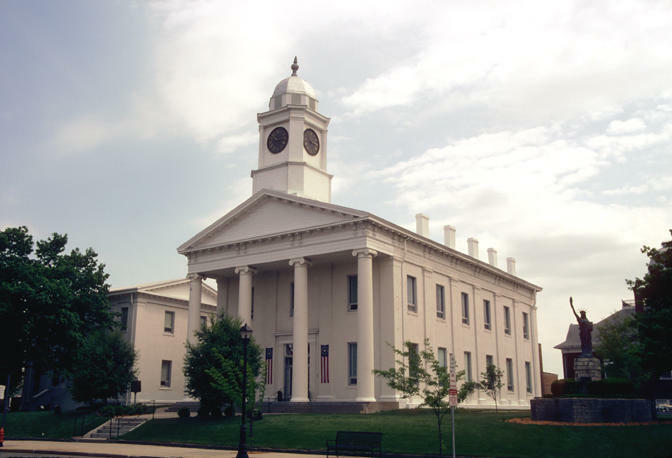 That's according to State Auditor Nicole Galloway, who presented findings of a citizen-requested audit on Thursday night at the Lexington City Hall. "We found quite a bit of financial instability within the city government," says Galloway. There are several reasons behind this, she says, including lack of oversight of the city's finances, as well as expenses the city took on while planning for a new hospital. Voters turned down the project in 2012. "Essentially the city double billed the hospital board for about $500,000 in expenses. And so the city owes the hospital board that $500,000," Galloway says. "That is a significant sum, given the financial condition of the city." The audit revealed a drop in the city's general fund of $122,000 between the fiscal years 2014 and 2016. Galloway also argues that city officials have not been monitoring the budget, and the record keeping has been muddied by complicated banking. For example, the city has 20 bank accounts for 16 funds, with money shifting between accounts. "One of the most surprising things that we found was that the City Council really had no way to track the finances of the city," says Galloway. "They are not getting good financial information to know what money is coming in, and how it's been spent, and if they're spending above budgeted amount. This has led to a financial decline within the city." According to Galloway, the city plans to address many of the findings, and some actions have already been taken. "In many instances, the city is already making headway in implementing these recommendations," she says. "So they are setting themselves on the right track. And I am hopeful that the city will continue on that right direction." 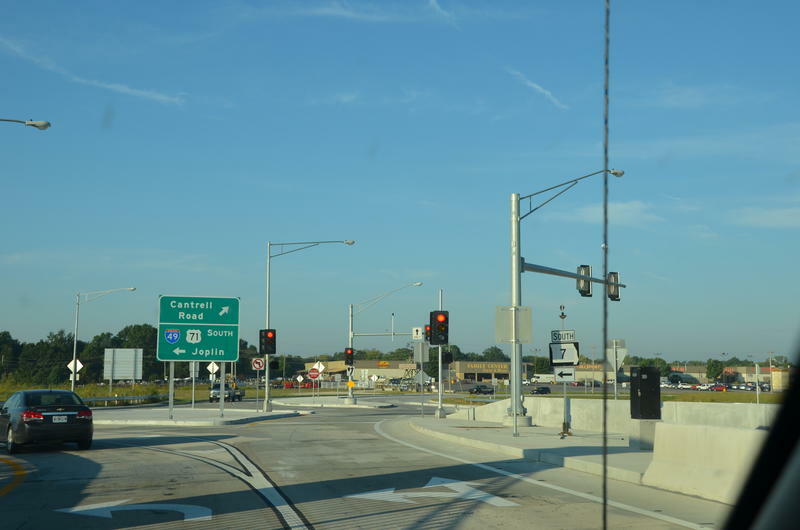 Harrisonville, Missouri, has too many special taxing districts – and according to Missouri Auditor Nicole Galloway, they’re not generating enough revenue to pay for the projects they were created to fund. “Overall, my team found a city that has overextended itself and overcommitted on a number of special taxing district projects across the city,” Galloway says. Today, bestselling author and political activist Francine Prose shares her thoughts on the importance of the written word. She says the First Amendment is under threat, and explains why what we write counts now more than ever. Then, we speak with Missouri State Auditor Nicole Galloway, who says certain executive payments the University of Missouri System awards break the law. The Missouri state auditor Monday issued a highly critical report of executive compensation in the University of Missouri System, calling some $2 million paid to top leaders over the last two years "hidden bonus pay." Much of Auditor Nicole Galloway's fire was focused on how the UM System handled the resignation of former University of Missouri Chancellor R. Bowen Loftin. 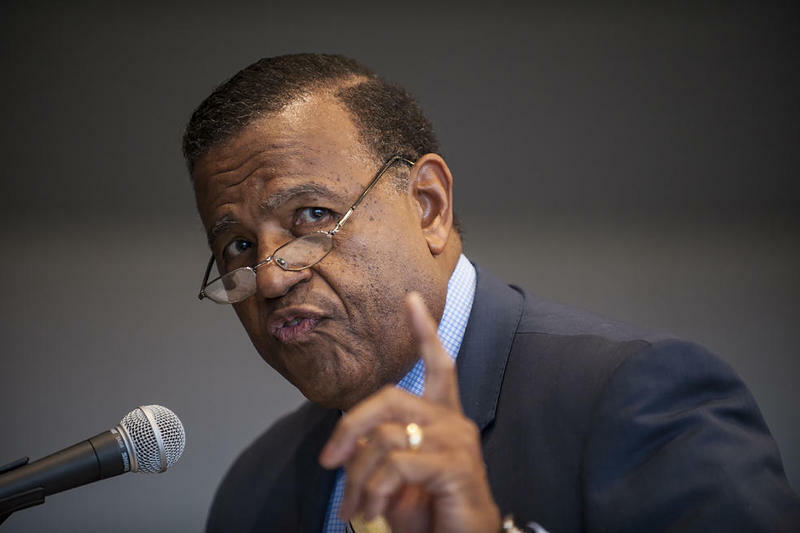 But she also highlighted additional compensation paid to other top system executives, including UMKC Chancellor Leo Morton. 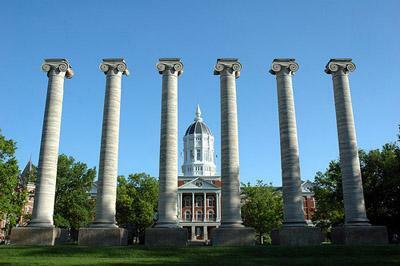 A state program that gives Missouri colleges and universities additional funding for meeting performance goals needs a lot of work, according to state auditor Nicole Galloway. The program awards institutions a portion of state funding — up to 5 percent of each school's core higher education funding —based on measures such as graduation rates and learning quality. The level of success is determined by how well each college compares to its peers.